I think he expected something biger. 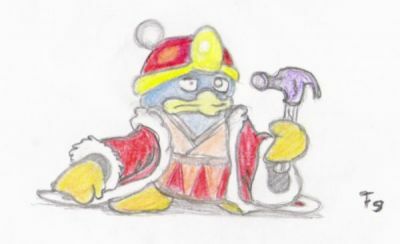 I don't get it.I thought Dedede always had that big hammer. He looks pretty disappointed. It would be funny if his dad was there, saying "Here you go, son! Have fun!" I think Dedede should be Smaller.But,Good!